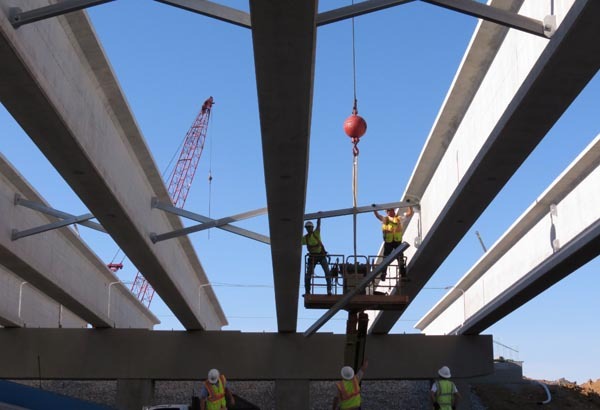 Driving over them, we sometimes forget that the overpasses connecting our communities – and states – are large and require considerable skill to put together. Steelworkers stitch this new one together for a new section of US 68 in Maysville, Ky. 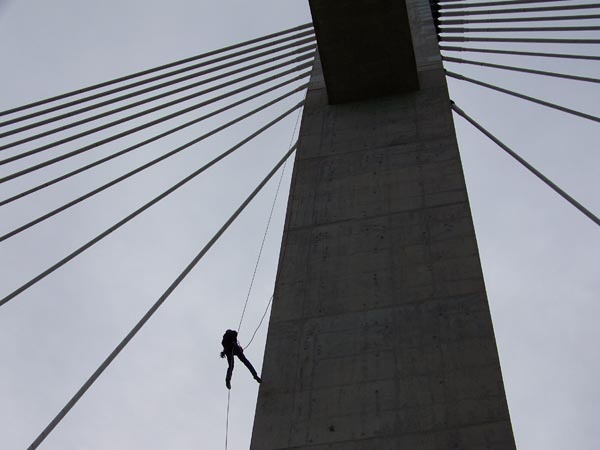 Dangling by ropes from 200-foot towers is only a day on the job for the Kentucky Transportation Cabinet’s bridge inspectors in District 9. This cable-stayed bridge crossing the Ohio River at Maysville gets inspected regularly, and rappelled at least once a year. 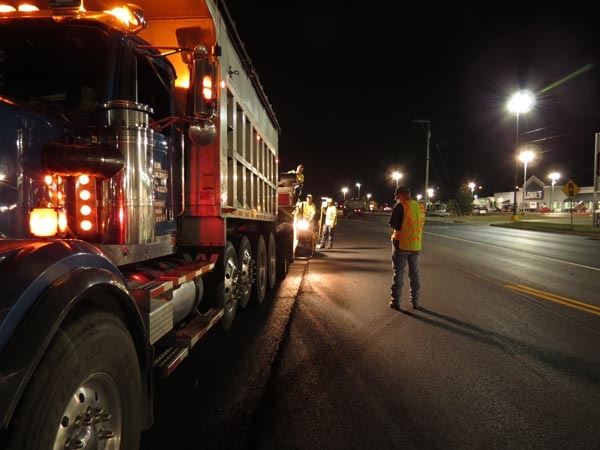 Progress looks different at night, as the asphalt train of trucks and pavers line up beside contractors and Kentucky Department of Highways inspectors to give the daytime commuters a safer and smoother ride. 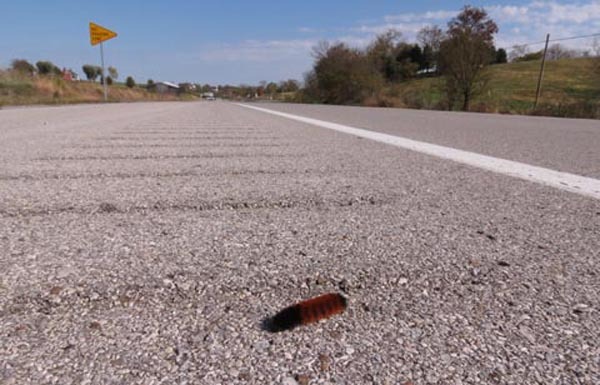 Patient care of Kentucky’s rural roads mean that each fall, thousands of tourists can flock to festivals across the commonwealth – including along KY 11, which eventually leads to the Beattyville, Ky., Woolly Worm Festival. No worms were harmed in the making of this photo. And, thanks to the new rumble strips, neither were any drivers.